Things can be in tents (i.e. intense!). Have you ever heard that joke? Sarah hadn’t and it totally made her laugh. It’s so true. Outdoor tented receptions are awesome. They can also be intense. 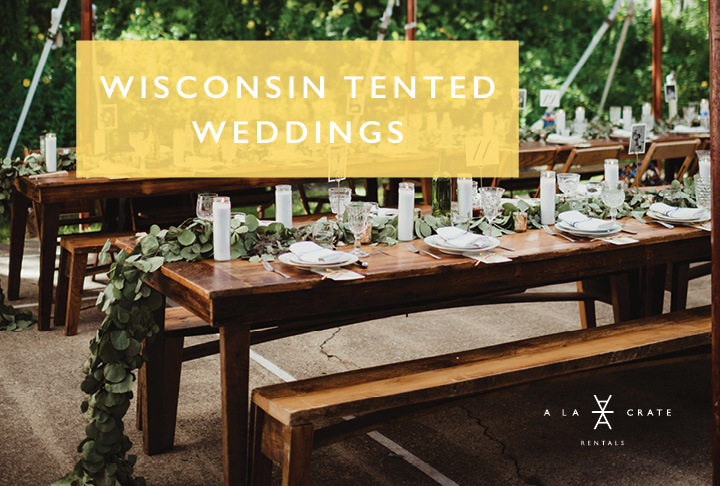 We’ve taken the time to gather some of our favorite WI outdoor tented wedding reception photos along with some rental tips so that yours comes together smoothly. We highly recommend working with a planner. It typically means that you may well need EVERYTHING, and the more moving pieces and parts and/or vendors involved, the more delightful a planner will be. Around the shop we like to say that the end result is often about expectations. So, if you can pre-plan or have someone to be able to take the stress off, likely you will have the best outcome. 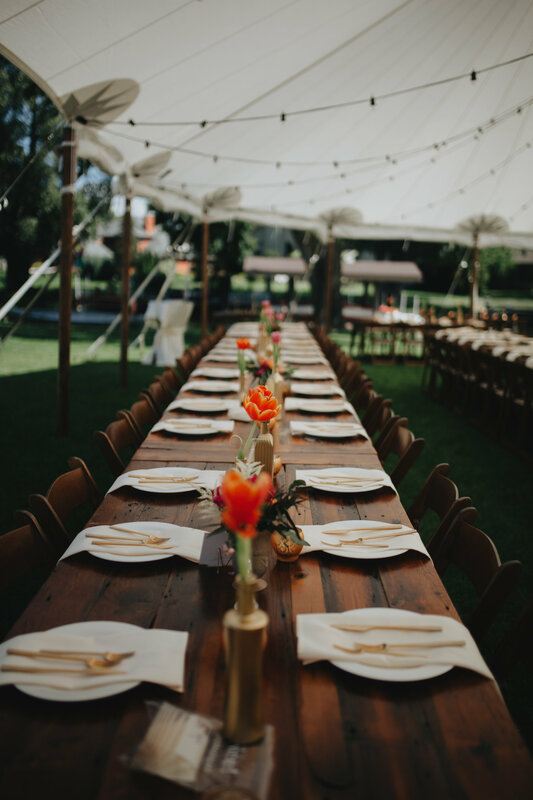 If your wedding is planned for a private residence, we’ll second the recommendation of a planner as they can really make the day run so much smoother. 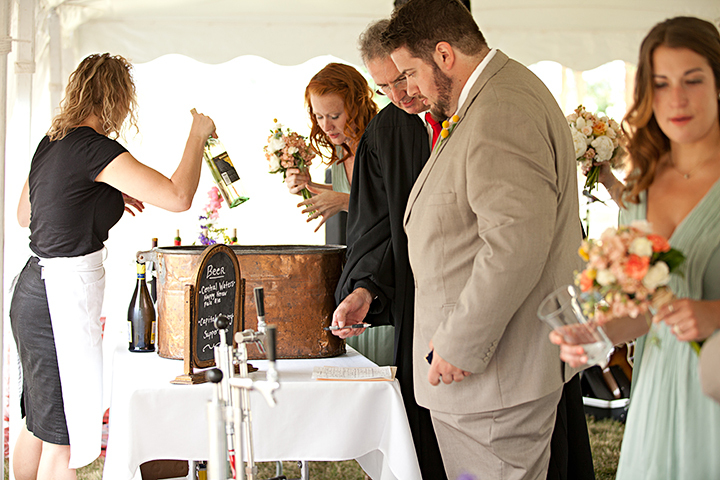 The above image from Katey and Sean’s wedding at Camp Wandawega was made smoother by planning ahead. We were in contact several times prior to the wedding weekend and even had some finalizing appointments to work through special details of the table centerpieces. They also had a day of planner to assist with set up and styling – and no doubt the effect of all that planning resulted in images like this one of their sweetheart table set up. We suspect they got to truly enjoy their time together! Um, yep- bathrooms, I checked my list twice and didn’t think of this one. Did we mention how helpful having a planner is, someone who does this on a regular basis and can help you sit back and relax? The above image of the green workbench shows it at its finest! 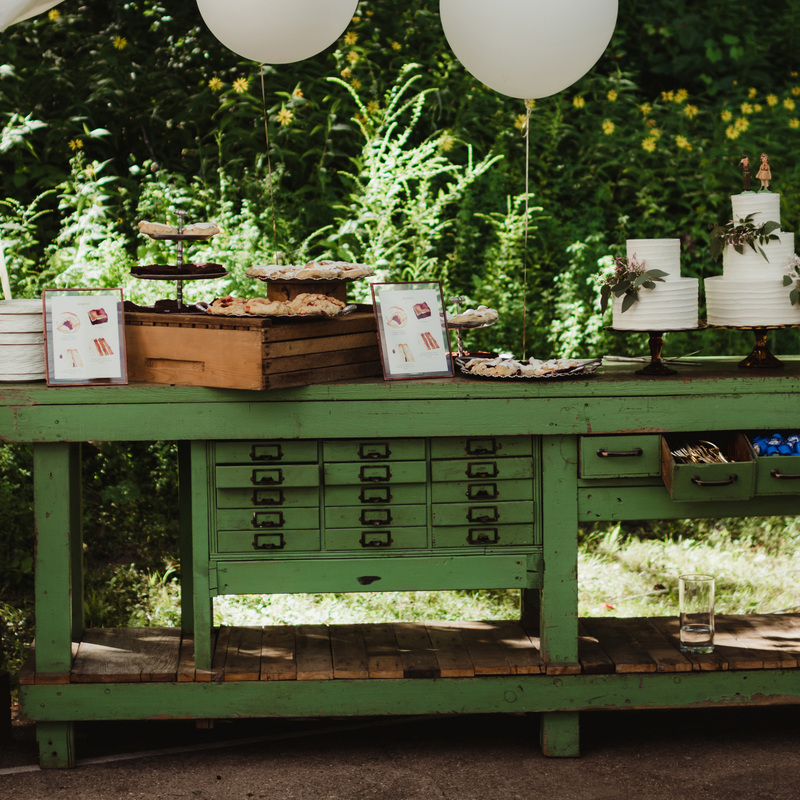 Not only was this rental “gifted” into the couple’s reservation by a sneaky family member who knew what it would mean to the bride (<3 <3 <3), it also displays all the needs of a dessert set up and more! It is big, it is green and we think it can do the job of at least three tables. Our harvest tables really pop in a white tent! 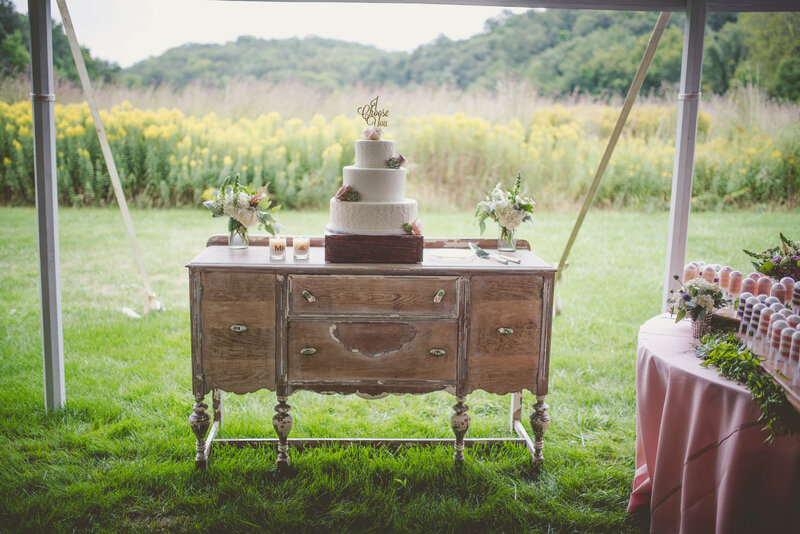 Definitely loving the style of this particular tent and how the wooden stakes relate back to the tables. 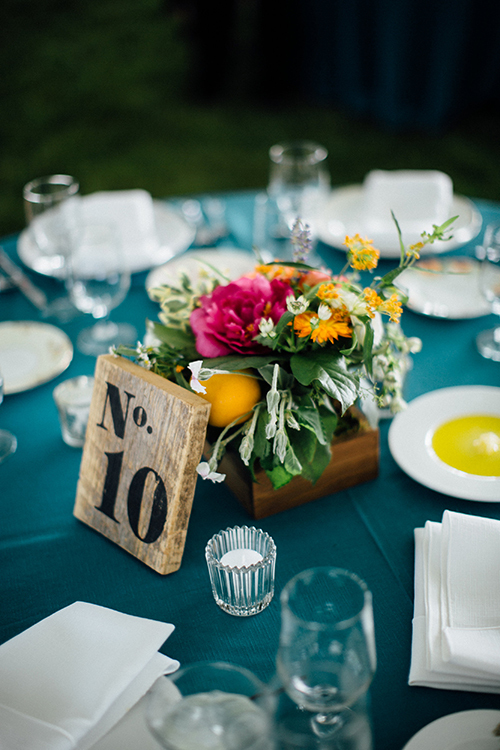 The simplicity of a white napkin and plate also draw a simple balance back to the tent top. Think of that white tent top as an element to bring in to your design and you’ll do just fine! Celebrate with your closest friends and give prominence to the main attraction (the new couple!) at the head of a King’s table made for the outdoors. 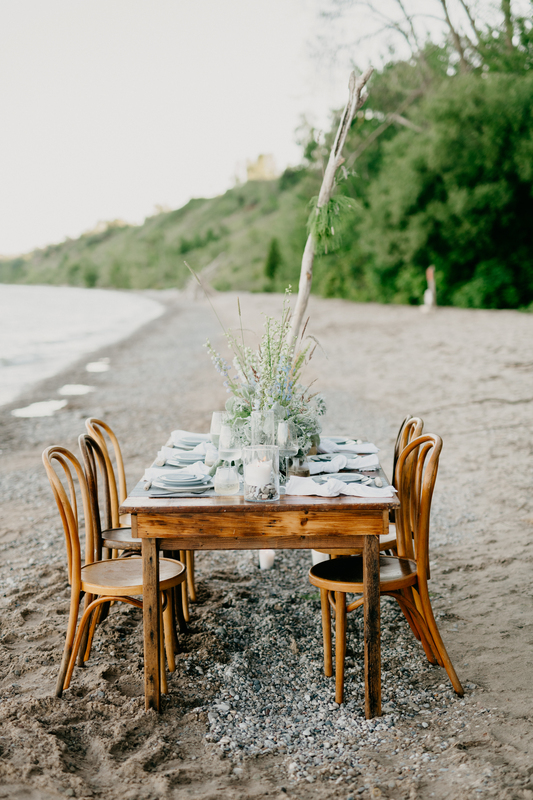 The long sides of the table become a place for the bridal party while the couple get to truly be front and center. 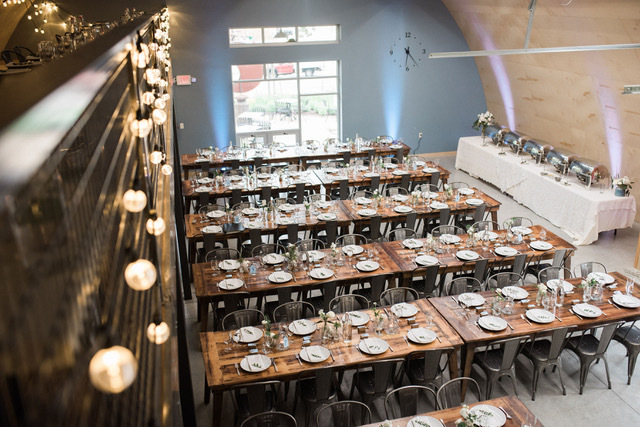 This leaves lots of room for a spectacular floral display and don’t forget the food + drink! 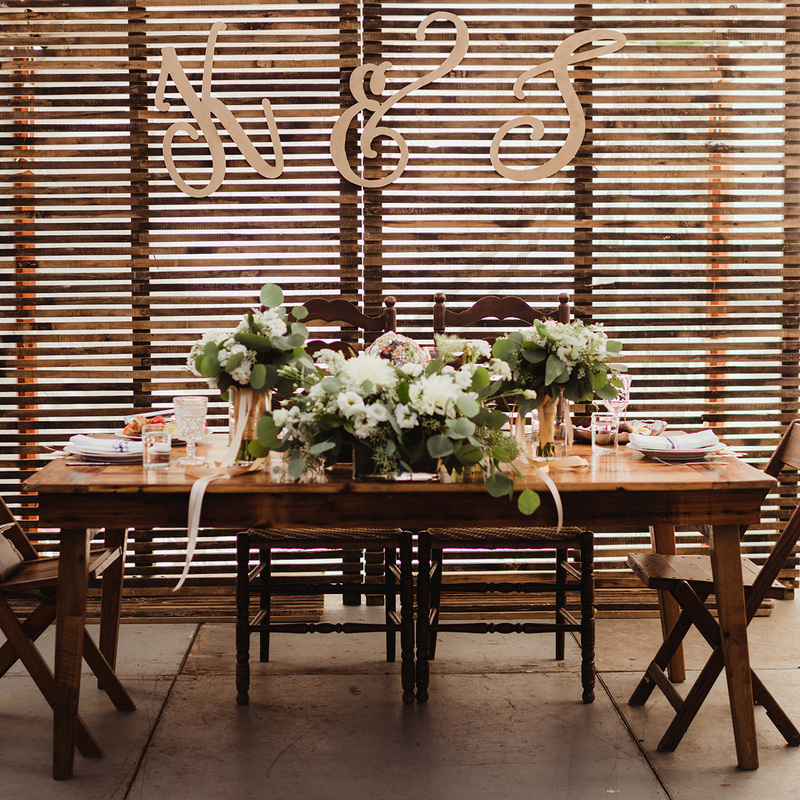 The styling in the above North Woods reception was provided by none other than the bride. M.K. 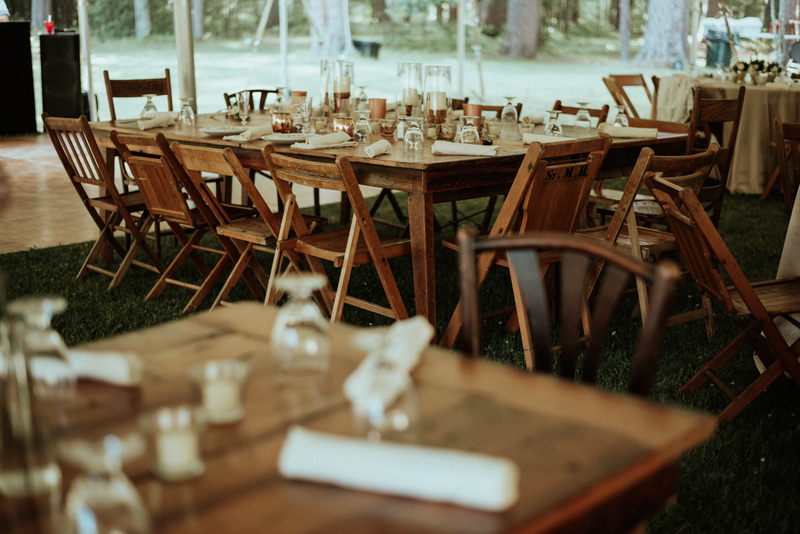 Social kept it warm and woodsy with an open sided tent and our harvest tables + chairs. Melissa Shaw now calls Milwaukee home and she definitely knows how to style and to balance the busy weekend! Most of the final details are in the design elements. 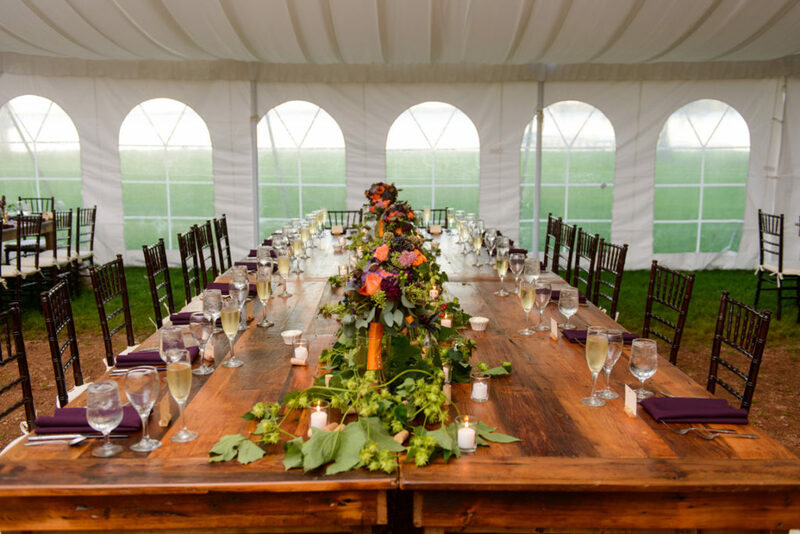 So don’t forget the table decor, bar service and some hints of floral or greenery around the tent. The grass is always greener under the tent- in the sense that planning ahead for weather is the best way to stay ahead. 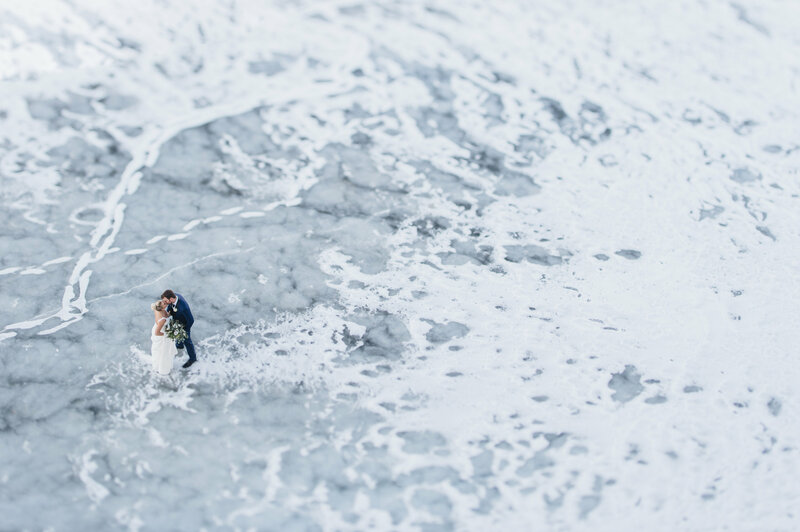 None of us in wedding or event planning have found a way to control the weather, so maintaining a realistic attitude about the possibility of a little rain, a lot of sun, etc. will go a long way in that idea of planting the seed for your expectations. Remember if the weather let’s you down – the cake and the bar should not! So be sure to add some elements to these areas that brighten your vision no matter what! But real deal, the day is full of moments that you will think back on for a lifetime. You have family and friends all coming together to celebrate you and new family meeting for perhaps the first time. You can spend forever setting the tent and getting things just right, but in the end you being present and enjoying these moments is the most important.